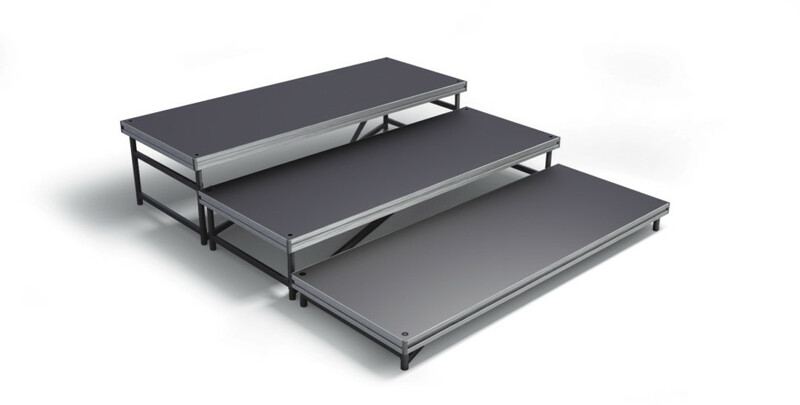 A solid, reliable stage platform with extraordinary versatility to meet the needs for any configurations of Show choir risers. 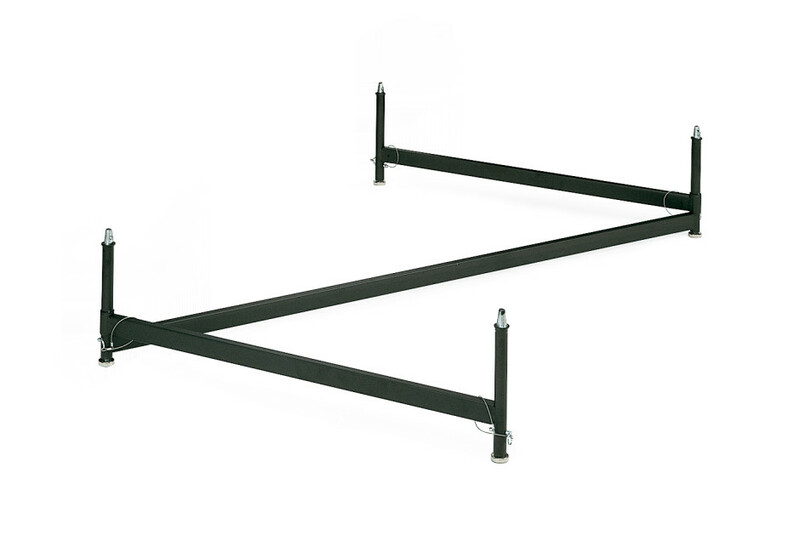 Whether used as a seated music riser, multi-purpose stage, or show choir riser, the Z-System’s innovative bracing system provides maximum stability with a return on investment that will extend your budget dollars. 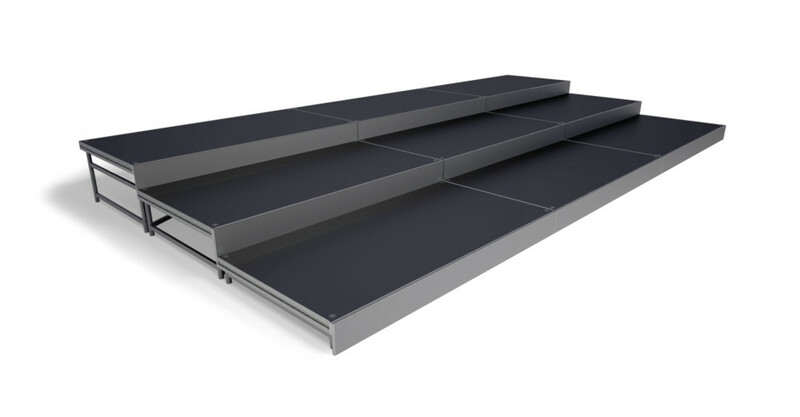 Minimize your initial investment, save on storage space, and eliminate the need for separate riser systems for different events by simply reconfiguring your StageRight Z-800 supports. 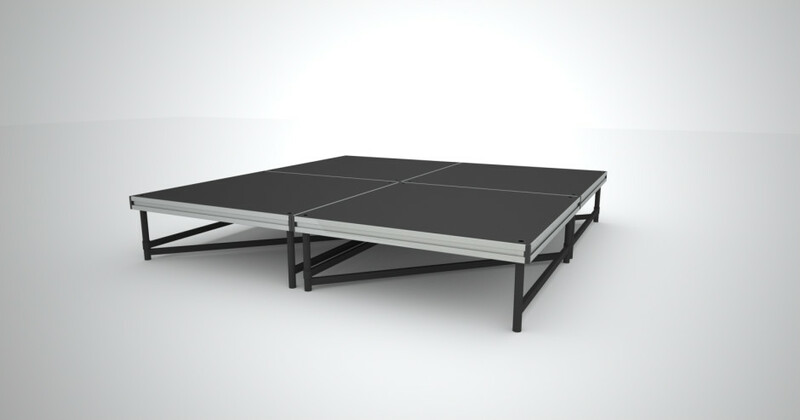 Stage system includes dual-sided, reversible decks, and Z-system supports. 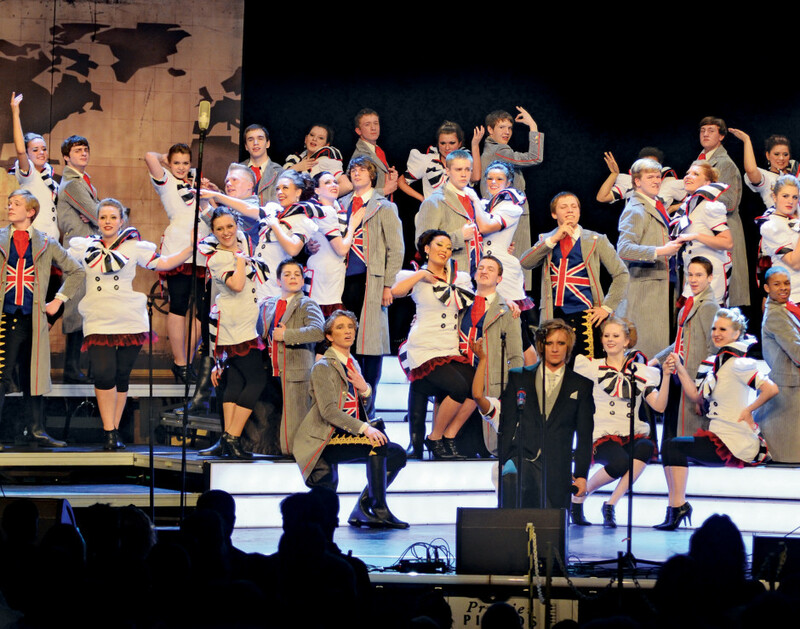 Check out our blog post on show choir safety. 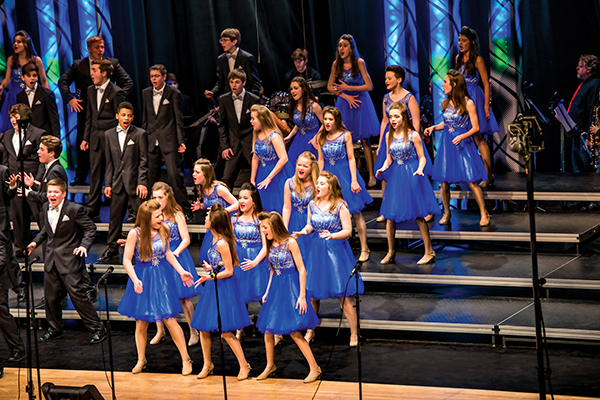 Arrange different layouts — show-choir, jazz platform, seated choral, or band risers — which can all use the same components. 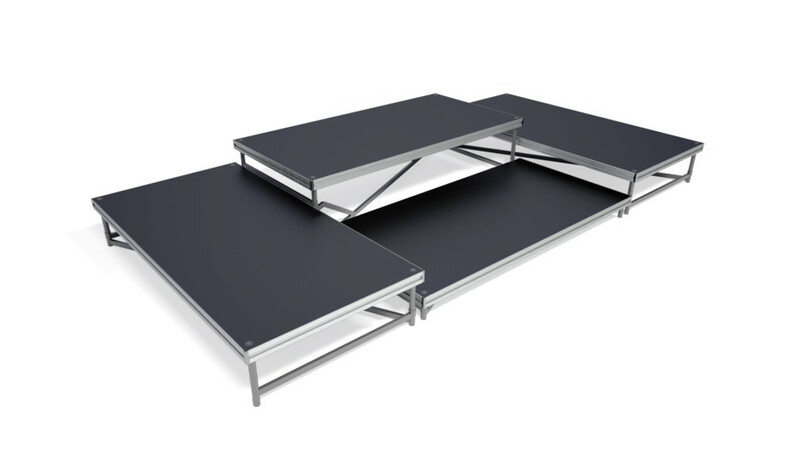 Pie shaped, 30 degree decks are available, as well as 3’ or 4’ deck depth to accommodate seated band or standing choir riser configurations. 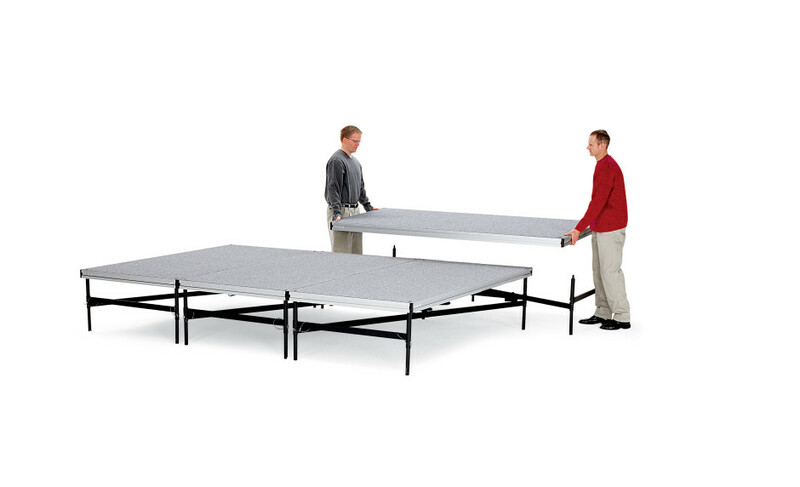 Setup simply involves unfolding the portable staging support into a Z shape and placing a deck on it. 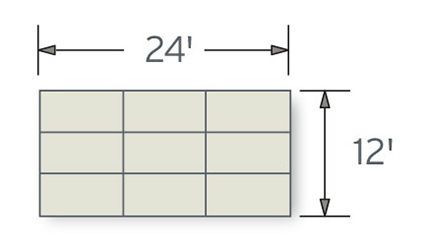 Tapered locator nodes align decks and secure quickly and without the use of tools. 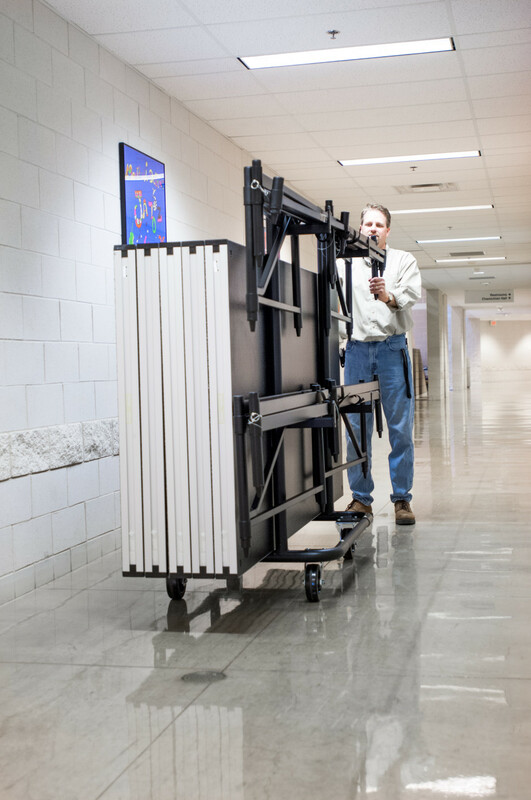 Z-800 supports fold down to a minimal storage footprint at the conclusion of your event. "Solid riser system. Best on the market by far." "Extremely helpful with answering questions and very pleased with customer service." 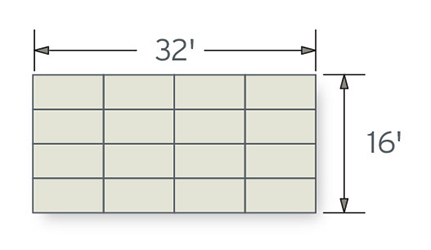 800-438-4499 to discuss your needs and to receive design assistance, specifications and pricing.